Thanks to kind donations, The Phoenix Shed now has sufficient wood carving and wood turning tools to be able to offer more older men (over 55s) the chance to take up either, or both, wood turning and wood carving. Sticky George (of Ogden fame) runs walking stick making and wood carving on Wednesday and Friday mornings. 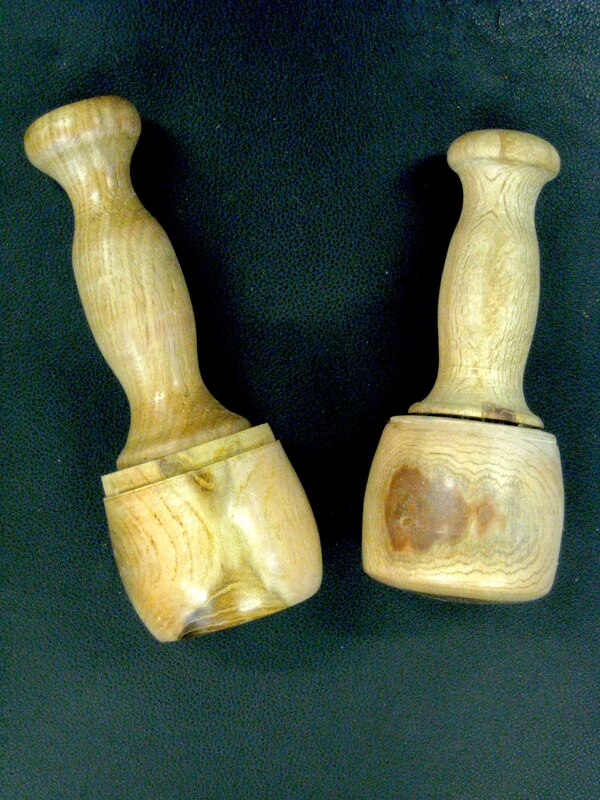 Several members are now doing wood turning and one member has made two lovely wood carving mallets for the Shed. If you, or someone you know, would like to come along and try out walking stick making, wood carving, or wood turning, please ring Chris Freeman 07930 207537 to book a place. Price is £2.00 per session for members and £5 for non members. Membership is just £20 per year. They are a really friendly bunch and we can assure everyone that they will receive a warm and hearty welcome. This entry was posted in Staying Well and tagged Phoenix Shed Halifax.